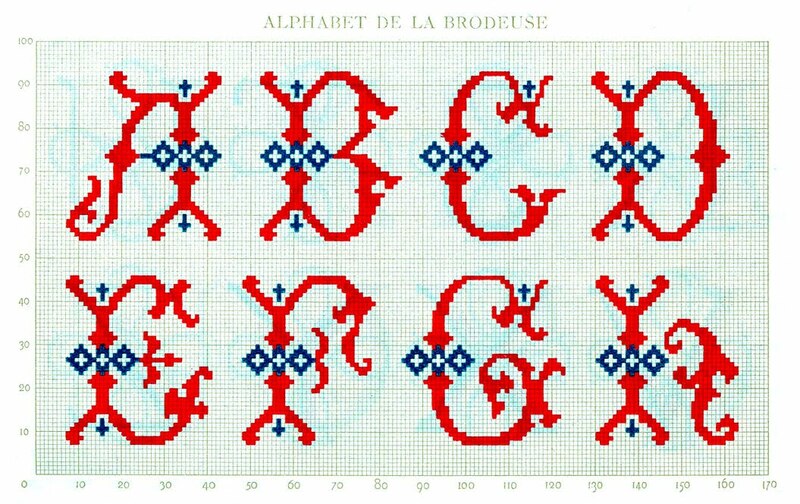 This is a cute set of vintage Embroidered Monograms from an antique French Monogram book! 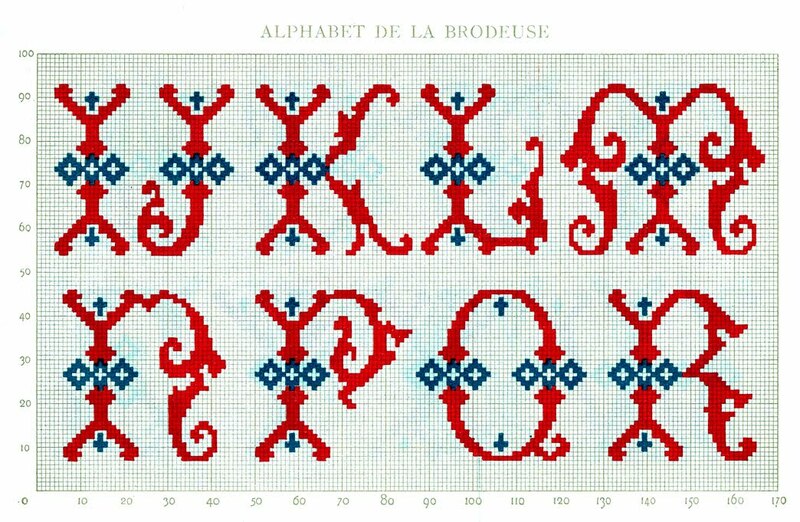 I like the red and blue color combo on this one, so cheerful! It looks like the O is missing, but you can substitute the Q and just take the tail off, if you’re using this to sew. 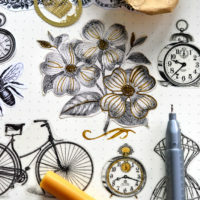 I’ve included full size printables for these, the are condensed to two pages. Vintage French Menu – Blossom Frame Stock Images – Vintage Wedding Typography How to make Stickers + free printable! These are really neat. Thanks! 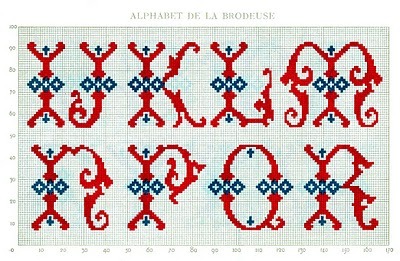 Thank You..I will be using these letters for Christmas stockings next year and pillows..
Love this font for stitches! Have a great day! I love the Christmas Stocking idea!!! 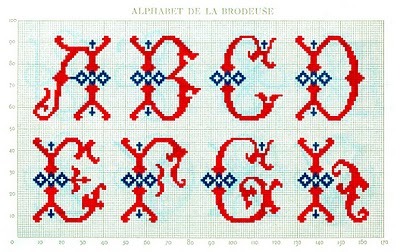 Pretty sure these are cross-stitch patterns! Lovely. 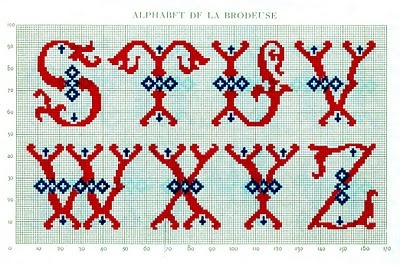 And yeesh, it’s been forever since I did needlework. These are so lovely. Thank you.